Clementine has been picked as Friend of the Week, which means she gets to be line leader, collect the milk money and feed the fish. Even better, she’ll get a special Friend of the Week booklet in which all the other third grade kids will write why they like her! But Clementine’s best friend, Margaret, has all sorts of crazy ideas about how she can prove to the class what a great friend she is. Determined to fill her booklet with glowing comments, Clementine does as Margaret says. But what begins as one of the best weeks ever soon starts to turn into one of the worst. Who knew being a friend could be so hard? More hilarious adventures with the bouncy and irrepressible Clementine. 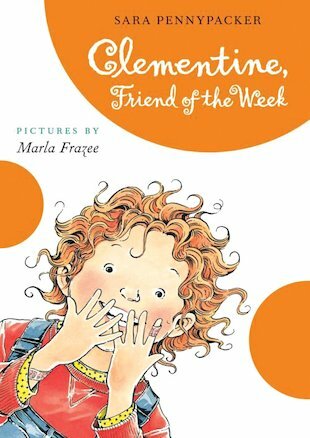 Sara Pennypacker has won a number of awards for her Clementine books, including a Boston Globe/Horn Book Honor.